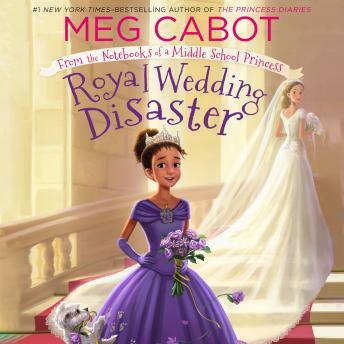 You are invited to a Genovian Royal Wedding in this second audiobook pulled FROM THE NOTEBOOKS OF A MIDDLE SCHOOL PRINCESS, a Princess Diaries spin-off series, written by New York Times-bestselling author Meg Cabot. Of course, things aren't going exactly like she imagined. Her half-sister Mia is very busy learning how to take over the country while trying to plan a wedding and her father is actually getting remarried himself-to Mia's mother!-and spends most of his time 'renovating' the summer palace, although Grandmere says he is just hiding from the wedding preparations. Olivia hardly gets to see either of them.